The Museum Artists comprise a membership category of The Art Museum of Eastern Idaho (TAM) that is dedicated to providing a positive and enriching venue for the community of artists at all stages in their personal development and energetically contributing to the achievement of the cultural and educational missions of the Museum. The group provides financial, in-kind and volunteer support to TAM; a gathering place and educational opportunities for artists (exclusive tours, art demonstrations, figure sessions with live models, etc. ); opportunities for artists to exhibit their work and a place of welcome, friendship and support for all members. Visit the museum artist page for a glimpse of what membership in this group offers. The Museum Artist endorsement is an additional $25 to any level of museum membership. **Eligible for NARM (see below). 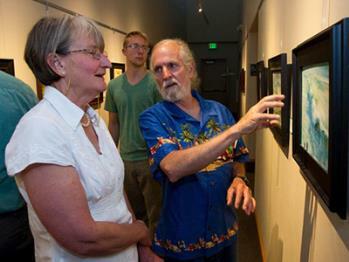 The Art Museum of Eastern Idaho (TAM) is a participating member of North American Reciprocal Museums (NARM). Members who join at or above the $100 level may receive reciprocal privileges at NARM museums from El Salvador to Canada and from Hawaii to New York. Your membership card with a special gold NARM sticker will entitle you to receive free admission, member discounts at museum shops and discounts on concert/lecture tickets. We urge you to check out their website (http://narmassociation.org/) regarding any special ticketed exhibits and events that are of particular interest to you because some restrictions may apply to certain events or organizations. The list below provides only a very small sampling of the over 1,000 current NARM members.